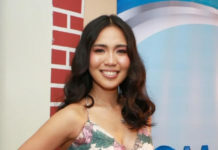 Several GMA Network personalities and programs were recognized at the 32nd Philippine Movie Press Club (PMPC) Star Awards for Television held last October 14 at the Henry Lee Irwin Theater, Ateneo de Manila University. Leading the list of Kapuso winners was GMA News pillar Arnold Clavio who received the Excellence in Broadcasting Lifetime Achievement Award. Kapuso leading lady Yasmien Kurdi was named as Best Drama Actress for her notable performance in the ground-breaking GMA advocaserye, Hindi Ko Kayang Iwan Ka. Esteemed actor Gabby Eigenmann won the Best Drama Supporting Actor award for the Afternoon Prime series Contessa, while Kapuso sought-after actress Kyline Alcantara was hailed as the Best Drama Supporting Actress for top-rating primetime soap Kambal, Karibal. Kapuso heartthrob Ruru Madrid won the Best Performance by an Actor award for his role in Magpakailanman’s “Takbo Ng Buhay Ko” episode. 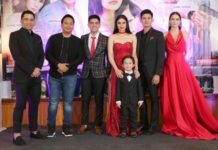 Child actor Seth Dela Cruz marked a milestone in his career by winning the Best Child Performer award for the Afternoon Prime soap Hindi Ko Kayang Iwan Ka. Eat Bulaga Dabarkads also took home awards. Phenomenal stars Alden Richards and Maine Mendoza were recognized as Best Male TV Host and Best Female TV Host, respectively. 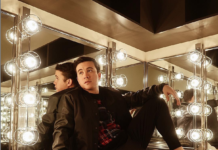 Joining them is Kendoll who took home the Best New Male TV Personality award. Receiving the PMPC Star Awards for TV nod as well are various GMA Entertainment Group programs. 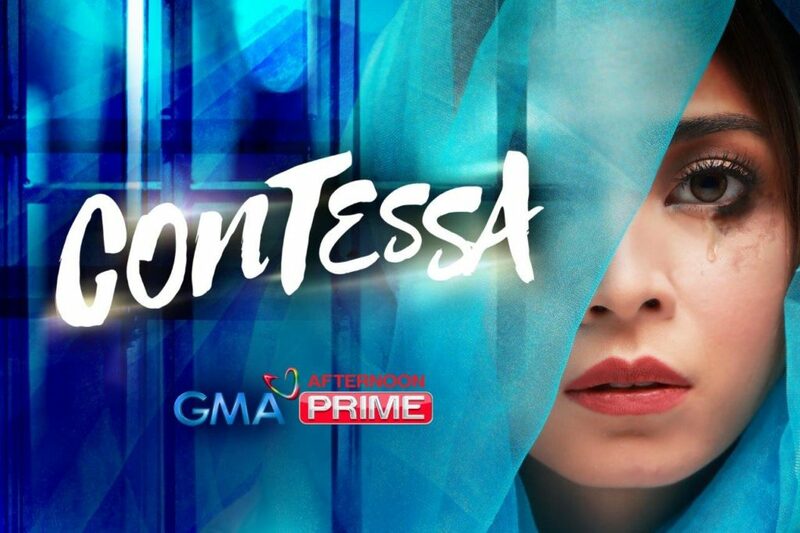 Afternoon Prime series Contessa, top billed by multi-talented actress Glaiza de Castro, was named as the Best Daytime Drama Series. GMA’s award-winning and well-loved family sitcom Pepito Manaloto was chosen as this year’s Best Comedy Show, while breakthrough comedy-variety noontime show Sunday Pinasaya was recognized as Best Variety Show. 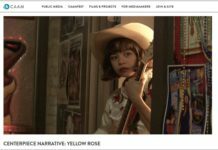 Numerous GMA News and Public Affairs programs and personalities were also cited by the PMPC. The country’s most-awarded news magazine program Kapuso Mo, Jessica Soho added another feather to its cap as it received the Best Magazine Show award. 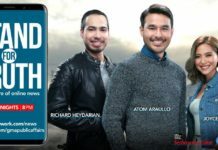 Top-notch documentary program I-Witness brought home the Best Documentary Program recognition, while its hosts—Howie Severino, Kara David, Jay Taruc, Sandra Aguinaldo, and Atom Araullo, won as Best Documentary Program Hosts. Meanwhile, GMA News Pillar Vicky Morales won as the Best Public Service Program Host for the country’s first and longest-running wish-granting program Wish Ko Lang. Taking home the Best Morning Show Host award are Arnold Clavio, Rhea Santos, Ivan Mayrina, Connie Sison, Susan Enriquez, Suzi Entrata-Abrera, Lyn Ching-Pascual, Lhar Santiago, Love Añover-Llanko, Luane Dy, Nathaniel “Mang Tani” Cruz, Atty. Gaby Concepcion, Winnie Monsod, and Regine Tolentino for the country’s longest-running morning show Unang Hirit. News anchor Raffy Tima was conferred the Best Male Newscaster award for GMA News TV’s Balitanghali. The World of Gandang Ricky Reyes was once again awarded as this year’s Best Lifestyle Show while its host Ricky Reyes took home the Best Lifestyle Show Host award. Special recognitions were given to Kapuso highly-talented actor Ken Chan who was hailed the Frontrow Male Celebrity of the Night and the Male Face of the Night.